HIGH VALUE treat alert! 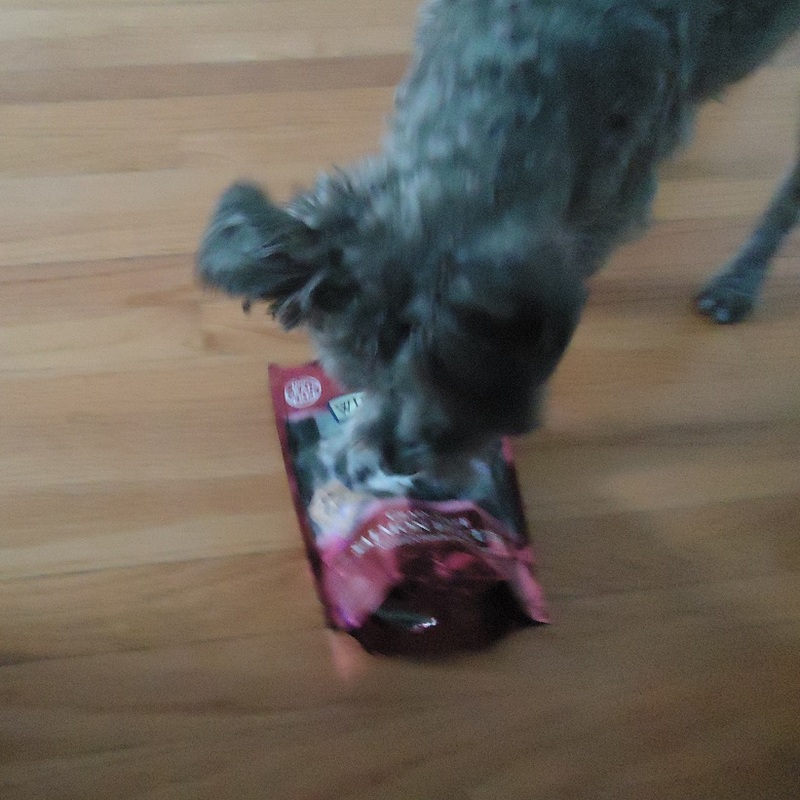 Thanks to the blogger program at chewy.com, my boys are going crazy for these freeze-dried chicken "Liv-a-Littles" treats by Halo. Shockingly (considering Ellen is wonderful!) this was my first go at a Halo product. Like most freeze-dried treats, these are 100% chicken packed with protein and flavor that my dogs go crazy for. And, unlike others, Liv-a-Littles have a marinade made from sodium phosphate, salt and carrageenan. Luckily for Finn, they are still grain-free! 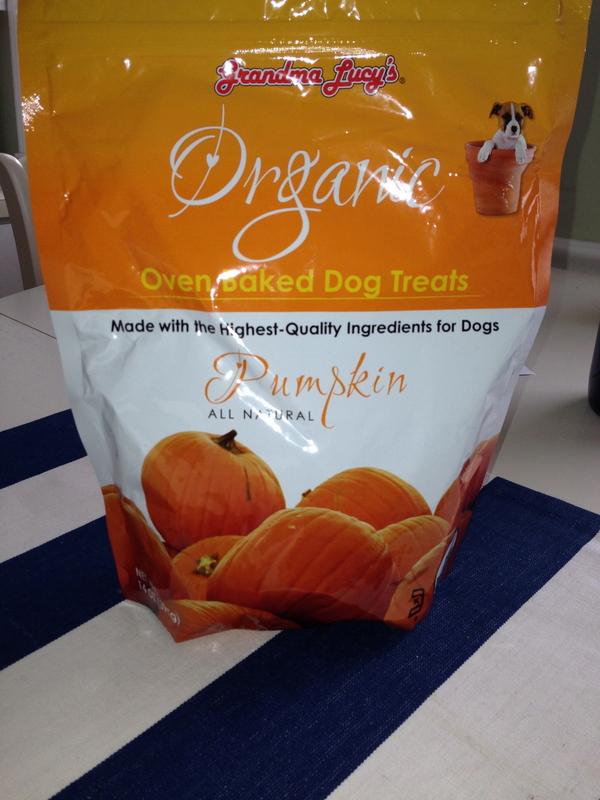 Halo suggests you can either use these in treat form or sprinkle in small amounts over your pet's food. That's great news for picky eaters and our feline friends, too! When the massive chewy.com box arrived in the mail I thought they had most certainly shipped the wrong product. Lo and behold, the 2.2oz canister of goodness was protected by lots of crumpled paper. That still did not keep the treats from breaking down or crumbling somewhat in the process - which is actually a disclaimer on the label - but my pups only get small bits of treat so, no biggie. Cooper and Finn delighted in their first taste and, if they had it their way, would have gobbled up every last bit in one sitting. I find these treats incredibly effective for training Finn because they really steal his attention. At the same time, I can keep Cooper focused without disrupting our session since he gets equally fixated. 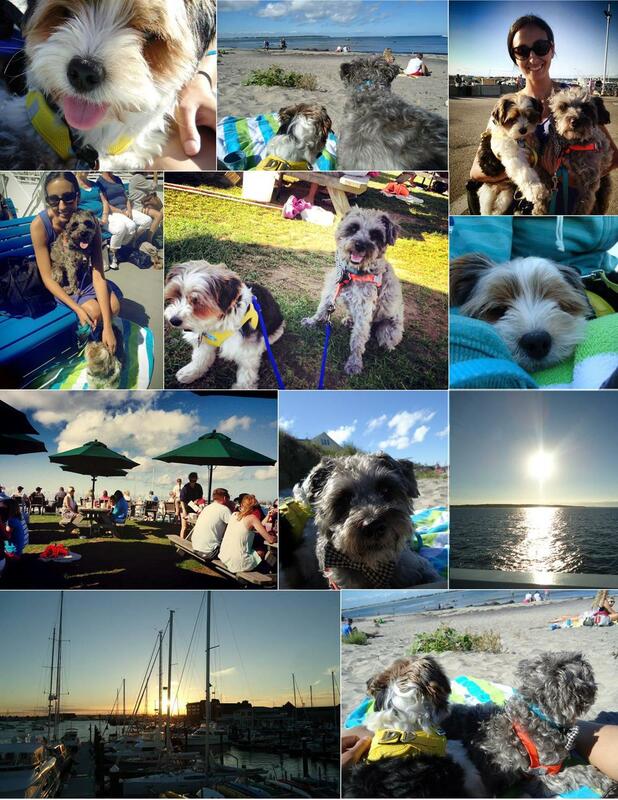 Happy pups = happy pup mom! New dog peed on the oriental rug? Pooped in the laundry pile in the kids' room? Guess it's time to find him a new home. Wait a second... is your 3-year old son having potty training relapses? Did your daughter wet the bed until she was 6? You must have shipped them right off to the orphanage then, right? I am using an overly sarcastic undertone just to drive home how LUDICROUS it is that dogs are returned to breeders, dumped at shelters, or just flat out neglected because of habits that are sometimes out of their control. As the pet parent, your reaction is always within your control. I am not an expert in this, or any other dog behavior topics; I am hoping to prevent just ONE dog from becoming homeless over a bad habit..
UPDATE! Finn had a HUGE breakthrough this week! On 1/28/15 he whimper-barked while I sat at my desk, opening mail. I found it odd since we had come in from our evening walk no more than 10 minutes earlier but I was certain he was trying to tell me he had to go outside. Mind you, we had snowbanks over my waist and the wind chill was 15 degrees so our first walk was brief. I also knew there was no way that he was asking to go outside for fun. So, any way, the moral of the story is that I listened to his cue, signaled "outside" and, sure enough, he went #1 AND #2! TMI? I don't care -- it was a proud dog mom moment for sure! Be positive and don't forget to leverage the experts - vets and (positive reinforcement) trainers, as needed! And set realistic expectations. Young pups and elder dogs simply should not be expected to "hold it" for more than a couple of hours, max. Sending good vibes! A new year, a new review opportunity! Many people make resolutions to live a healthier life, to declutter and do a thorough cleaning so how appropriate for us to review Nature's Miracle Stain & Odor Remover. Tip: It also works as a stain treatment for laundry (think pet bedding, blankets, etc.)! I think that even the most well-trained of dogs are bound to have tummy troubles. As for my household, spot cleaning has progressed from a constant task to a daily chore to being as needed each week. Finn's accidents still run the gamut :-/ while Cooper gets sick only after the occasional over-indulgence. For these reasons, I have found it is always best to be prepared with a carpet cleaner and something that is safe for hard surfaces. In both products, I look for stain-removal properties as well as an odor eliminator/neutralizer. You don't want to see or smell the stain after cleanup but, perhaps most importantly, you don't want your pup to find the same spot again.. and again.. The poop was definitely a challenge.. It took 2 days of applying solution, soaking up the stain, allowing to dry and using a srub brush to dissolve the residue. It's still about 15% visible but a vast improvement from the onset. Other chewy.com shoppers rated this product an average of 5 stars; I would have to disagree and say 3.5 stars. 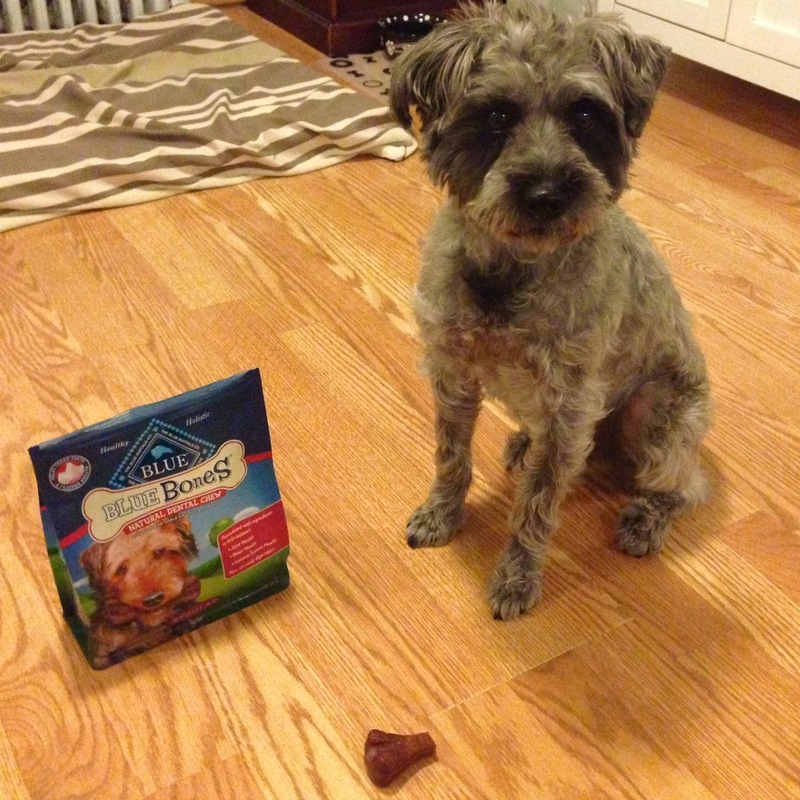 Our final product review for November comes courtesy of Chewy.com's Blue Buffalo Wilderness Trail Treats. Cooper and Finn sampled the Salmon Biscuits Grain-Free Dog Treats to be exact. Salmon, Chicken Meal, Potatoes, Chicken Fat (preserved with Mixed Tocopherols), Flaxseed (source of Omega 3 and 6 Fatty Acids), Calcium Ascorbate (source of Vitamin C), Vitamin E Supplement, Salt, Calcium Carbonate. I promise that Finn has been enjoying these biscuits just as much, if not more than Cooper! Someone is just a bit more excitable when it comes to new treats :) Our dog walker has been supplying both pups with a biscuit after their mid-day stroll and has reported that they gobble them up! And thanks again, Chewy.com, for allowing us to be part of your blogger program! Just a note: I have heard from a few sources that Blue Buffalo has had several recalls which, understandably, might give you pause. There were no recalls on these treats at the time of this review. As with anything you feed your dog, I urge you to do your research and check for recalls often. You can even sign up for DogFoodAdvisor.com's recall alert emails so that you are among the first to know of potentially dangerous food and treats. Since recalls are often voluntary, your vet is always a good resource for serious questions and concerns. Earlier this month, Cooper and Finn had the fine privelege of taste-testing the latest in Zuke's line of dog treats: Genuine Jerky! Most of you know by now that my little Finn has a grain allergy so I'm constantly on the hunt for treats that satisfy both of the boys without upsetting any tummies. One con against the jerky would be for dogs with small or few teeth because, well, it's jerky and it can be tough for some to chew. 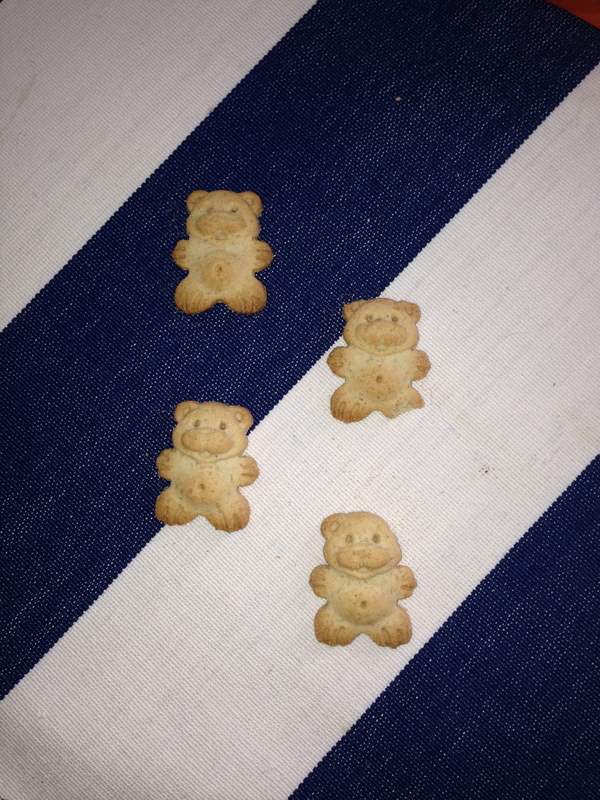 Side note: Zuke's makes other fantastic chewy treats for the little ones! Somebody smells the jerky! 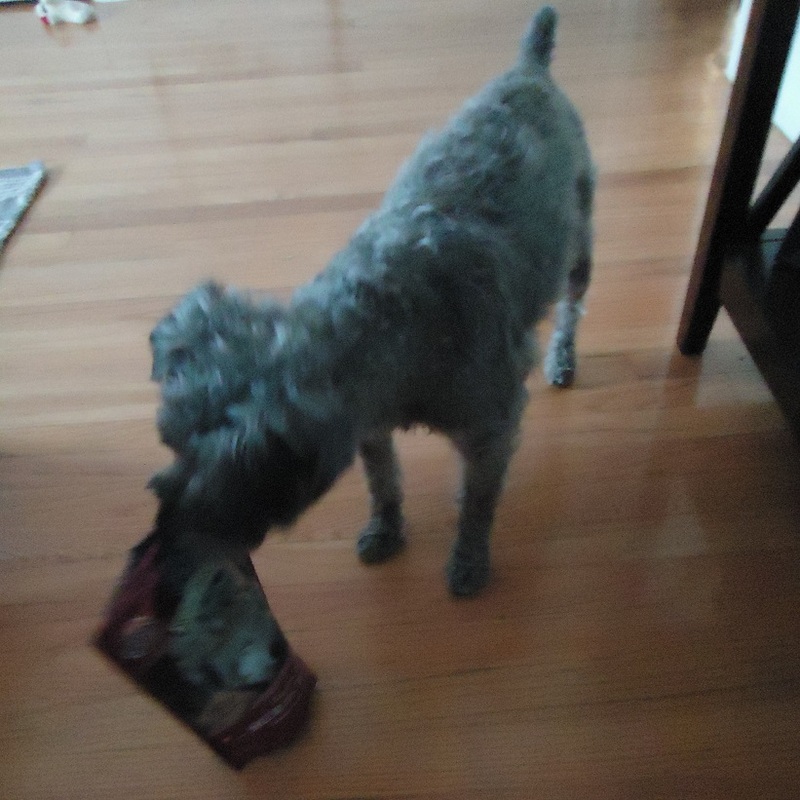 Finn, sniffing out the Barbecue flavored Genuine Jerky. Cooper must have seen a squirrel, ha. "Hi mom! Got any Zuke's for me?" Disclaimer: I received free product from Zuke's in exchange for my honest review. The opinions expressed in the blog are my own and were not influenced by any outsider. I did not receive monetary compensation or additional benefits for talking about the product or the company. Our latest product to review from Chewy.com arrived earlier this month! From the list of available products, I chose Primal Freeze-Dried Liver Munchies. Cooper has never turned down liver. Finn, on the other hand, has been pretty picky with treats but he has certainly come around to the "smelly" ones. So how did Cooper and Finn like them? Cooper was hoping my finger was an extension of the treat because he simply couldn't get enough. Finn has the tiniest mouth and prefers soft treats since they are easier to chew; by starting with the treat on the floor, he was able to sniff and chomp away. These treats are breakable but since they were freeze-dried, they do tend to crumble. People with big dogs wouldn't have this problem :) Best part of all? They are only $4.99 per 2oz bag at Chewy.com and available at most pet retailers! When one is blessed with a long weekend such as Labor Day, what does one do? Plan a day trip, of course! Cooper, Finn and I went to Block Island with my mom on Saturday. She and my dad visited it for the first time last year and brought Cooper a souvenier dog collar with tie so, naturally, I just had to go there myself and check out the inventory. I'll take you through my internal evaluation of how I decided that this trip would be enjoyable for us, 2- and 4-leggeds alike! Are they allowed on the ferry? Is there an extra charge? Yes, dogs are allowed at no charge! Depending on the port and boat you choose, the dogs might only be allowed on the outer decks and are always required to be leashed or in a carrier. Can I take them in the shops and restaurants with me? Most shops were very welcoming and some just tolerated the dogs being in there but we were not asked to leave any of the several establishments we entered. We ate outside at 2 different restaurants, including The Oar which was awesome! Are we traveling during their normal meal time(s)? We scheduled the 12:30 ferry from Newport so the boys had their breakfast. I brought them a few treats and plenty of water for the day and got them home for a slightly later-than-usual dinner so no need to pack a full meal. Will the elements be too much for the pups to handle? The weather outlook was fabulous for our trip - no storms or rain on the radar. I did consider the potential that their paws would get quite hot walking around town so we took breaks often, chose grass over pavement when possible, and stayed hydrated. Are they allowed on the beach? Ha, well... We learned the dogs are not allowed at Ballards but when we asked about the other beaches, we mostly heard that they were generally tolerated when kept on-leash. There were a few "No Dogs Allowed" that seemed to be overlooked as long as the dogs were well-behaved and no beachgoer lodged a complaint. Today is Finn's 1-month ADOPTaversary! To celebrate, I thought I would share with you some of his memorable moments from the past 31 days. Finn flies on a plane! He made the trip from National Mill Dog Rescue in Colorado back home to Massachusetts with me. He was such a good traveler that the flight attendant didn't even realize there was a dog under my seat until we landed and I smothered him with kisses. Finn walks on a leash! Since the first day home, Finn has been a very cooperative walking buddy with his snazzy yellow harness and leash. I think having Cooper with us helps since he knows our neighborhood like the back of his paw. A little tangle here and there does release a little spastic reaction so we try our best to keep a steady pace. Finn knows his name! Many times, families will change the name of their newly adopted dog because they either had another name in mind all along or they just don't think the current name fits with the dog's personality or appearance. Because shelter and rescue dogs typically only have their name for a short while, changing the name right away isn't too confusing. I decided to keep Finn's name because I thought it was just perfect but the truth is, I don't think he knew his name until a good 10 days and when he first responded, my heart swelled :) For the story about the origin of his name, click here. Finn learns the "look" command! Because Finn is still very shy around people, he tends to keep his head low. I taught him the "look" command so that he would look up at me and get a treat every time he complied. He is very trusting of me and I'm hoping this will translate with friends and family soon, too. Then onto [kind] strangers. 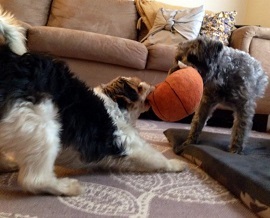 Finn plays with Cooper! My Cooper is very much a people-loving dog while Finn loves canines companionship so I stopped everything to watch their first wrestling match a few weeks ago. This might actually be more of a milestone for Cooper, but it also speaks to how important it is to know your dog when considering adding another to the crew. I'm one proud momma! Finn pooped on the mulch and grass! This one might sound strange because, for your normal family dog, this is just par for the course. Puppy mill dogs, however, have a rough start in life and are typically restricted to small cages either suspended above the ground or attached to a small slab of concrete. As you can imagine, Finn became accustomed to "going" on hard/flat surfaces so 9 times out of 10 he goes on the sidewalk. The first time he went in the mulch, I was ecstatic! Finn enjoys a bully stick! Initially, Finn did not show interest in treats or snacks, like the homemade frozen yogurt I make for Coop so you can imagine my surprise when he started chomping a bully stick (with his teeny tiny mouth). He will now take a treat from my hand, as long as I offer it to him by pinching it between my fingers (as opposed to an open palm), but he is still unsure of the "healthy" stuff like carrots, apples, blueberries, etc. Finn goes up stairs! With a lot of encouragement, Finn finally conquered the stairs! On occasion, he will hesitate to start the climb; once his little legs get going, he hops right on up. This is helpful since I'm on the second floor of a 2-family. Finn goes down a few stairs at a time! The descent, on the other hand, is still a bit of a challenge for Finn. So it is with my assistance that Finn tackles 2-4 stairs every time we head out. I have no doubt that this will be his next major feat! Finn swims! Okay, it wasn't intentional, but Finn swam in Nana & Pepere's pool! He was chasing Cooper and zigged when he should have zagged and... SPLASH! I went in after him but only because he swam away from the stairs. Go little Finn Finn, go! Finn sits! No, it's not on command (yet) and it is very rare and for a very short period of time BUT he CAN sit! Finn has luxating patellas, commonly known as "floating kneecaps" where his rear knees sort of become disjointed from time to time. This condition can cause discomfort in some dogs but the vet says that it's relatively common and Finn's getting along just fine. Every day, Finn represents puppy mill dogs and helps me advocate and spread awareness. He joins Cooper and me on our adventures - from Poop Patrol to Yappy Hour to your family-friendly parade - Finn has been taking it all in and he just brings so much laughter and love to our family! 2nd Annual Animal WelFair at EMC a HUGE Success! This year’s Animal WelFair event was held on June 20th in the courtyard of EMC’s Corporate Headquarters in Hopkinton, and we couldn't have asked for a better day! Once again, we welcomed organizations representing all aspects of animal welfare - from rescues, humane societies, doggie daycare and training to disaster recovery, veterinarians and pet insurance. Each group gave employees a chance to learn more about their mission, their fundraising needs and their opportunities for volunteering. Many were also giving away FREE STUFF! Dog treats, “doody” bags and collar tags were among the SWAG offerings. Pawfect Life Rescue also held a raffle where the randomly chosen winner received a gift bag full of great dog toys and goodies! With representation from over 20 groups plus 3 of EMC’s own Employee Circles (DERG, VeTS and C.A.R.E. ), we met our goal of growing this year’s event from our inaugural “Pet Fair” last June. Employees were even kind enough to donate goods to select organizations, filling nearly all 4 gigantic boxes we set up in the building for a few weeks leading up to the event! Until next year… THANK YOU! And remember: ADOPT, Don’t Shop! From April 27 - April 30 of this year, I was lucky enough to travel the 2,000+ miles to Colorado Springs to embark on my very first - and far from last - volunteer experience at National Mill Dog Rescue. I followed the steps to become a volunteer and signed up on VolunteerMatters/NMDR.com. I reviewed the Volunteer Handbook, signed the waiver, and watched “I Breathe” featured at the bottom of this blog. I initially worried that it would be too difficult for me to be surrounded by so many homeless dogs, especially knowing what their pitiful lives were like prior to rescue. They were either purchased at auction or born in the puppy mills (aka commercial breeders, some of which are USDA “approved”) where they were subjected to neglect and forced to spend every minute of every day in small wire cages in their own filth all while being bred on-demand for years. Their health was of no concern to the breeders since they were merely puppy-makers for profit. What most people still don’t understand is that they could be supporting this disgraceful practice by buying pets online or from pet stores which is why we preach ADOPT, don’t shop! After I packed my suitcase with tissues and an uplifting book, I pushed my selfish fears aside and focused on what NMDR does on a daily basis to provide these dogs with the best chance of a new, happy life. I had to remember what this trip was all about – showing the dogs love and compassion in the safe and well-maintained environment that is NMDR’s Lilly’s Haven. I met up with Laurie, the remarkable woman who inspired me to become part of this organization and join her on this, her third journey. Laurie is a long-time friend of my dad’s and she too lives in MA. She is also a great advocate for the pit bull breed and supports the organization born out of Michael Vick’s dog fighting ring, Handsome Dan’s Rescue based in Rhode Island. THANK YOU, Laurie! We were fortunate to experience a bit of Colorado on our drive from Denver to Colorado Springs but truthfully we just couldn’t wait to see the pups. Sunday at the kennel was going to be quiet since several volunteers were busy representing NMDR at a local Pet Expo so we were urged to check that out instead. There were tons of people and their dogs amidst countless rescue organizations, humane societies, and pet specialty stores and vendors. NMDR had adoptable dogs on-hand for meet & greets, branded clothing for sale, and a slew of literature further explaining their mission; it was great to experience it all in a cheerful and rather busy setting. In advance of the trip, we got wind of the impending rescue mission in the Midwest which was set to bring nearly 60 dogs to the NMDR facility to begin their rehabilitation and road to be re-homed. It was with great anticipation that we cleaned, fed, laundered, and socialized the pups until mid-afternoon when the rescue vehicles arrived. I was living in the moment, surrounded by the energized crowd of volunteers and coordinators, when I realized that all of their suffering had truly ended. These dogs were going to feel love – and the ground! – for the first time in their lives. One by one the volunteers filtered up to the van to be given a crate with one or more matted, scared, smelly dogs. Regardless of their former circumstances, not a single dog displayed aggression. It was simply miraculous. Read the full press release about “Harley to the Rescue”. By Tuesday morning I already felt so connected to my new fur-friends… all 80+ of them :)! We joined the early morning cleaning crew; mopped all the overnight accidents, scooped the poop, wiped down the Kuranda bed, switched out the blankets and folded laundry. Next came time to refresh the water and fill the food bowls. Some pups need canned food while others have special diets like grain-free and, of course, the young ones eat puppy food. Full tummies = minimal barking + another round of cleanup. The newbies from Monday’s rescue were starting to get settled in their new temporary homes, but how would they ever find their forever families? What we did next is what NMDR refers to as “intake”. 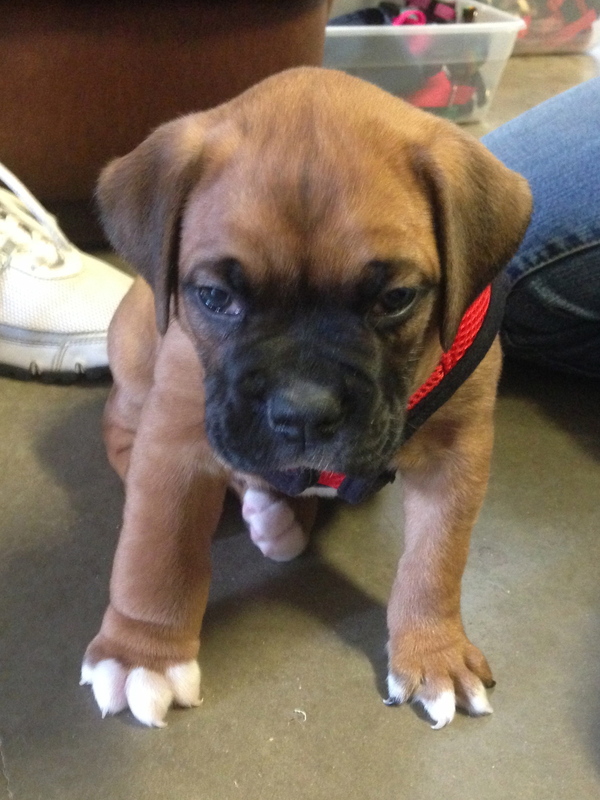 Prior to transport, each pup was named, weighed, microchipped and evaluated for major health concerns. This made the intake coordinator’s job much easier and smoother. As volunteers, it was our job to take each dog one-by-one through the intake process: verify the name on their collar matched the paperwork, provide any personality traits observed during the time spent in their kennel (shy, friendly, cuddly, scared, outgoing, anxious), and have their pictures taken for the adoption page and as the starting point for their before and after transformations. 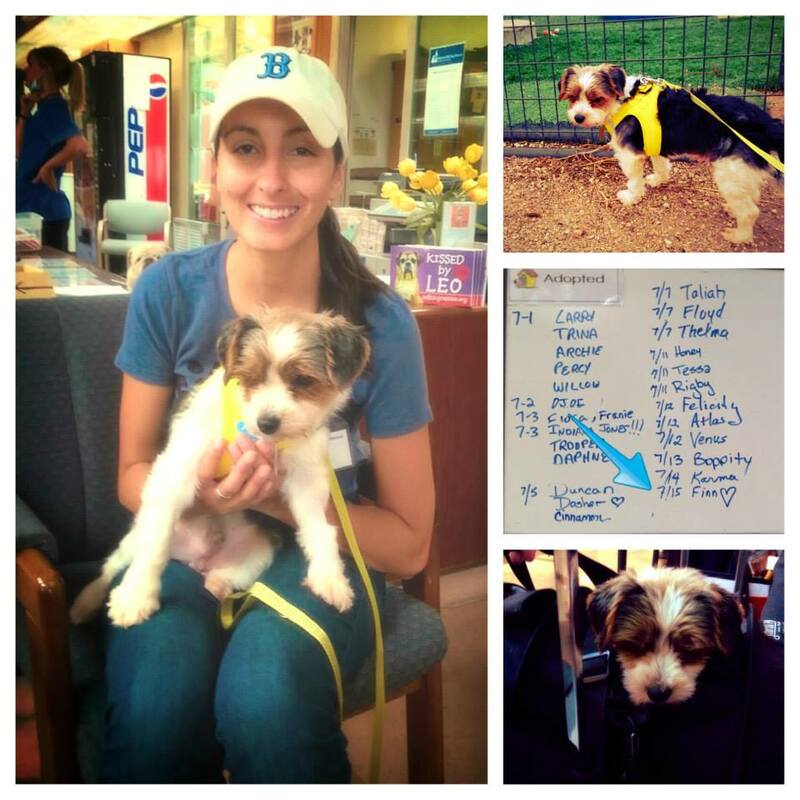 Rory – Havanese - ADOPTED! Lucy – Toy Poodle - ADOPTED! Wednesday was not going to be another 9-hour day for us since the car rental return and my flight back East were dictating our schedules. Laurie and sped through cleaning and feeding so we could spend the last few hours cuddling and loving on our buddies. I thoroughly debated cradling a few of the little ones in my brand new National Mill Dog Rescue zip up hoodie for the plane ride! I thought, “how would anyone know?” I loved them so much already. This was by far the most difficult day. A few of my toughest goodbyes were to: Joey, Balto, Ojoe & Lucy, Nino, Glory, Soda, Poppi, Betsy, Walter, Killian, Rooster & Ellie, Brutus, Festus, Cashel, Powder, Dixie, Kiwi, Lulu, Cinnamon & Eggnog, Ferrari, Snickers, Clarence, Happy, George & Ringo, Elmo, Indiana Jones, Rocky, Ruby, Cher and Shelly. Okay, maybe it was more than a few but that wasn’t all of them. So many deserving dogs need homes and I really hope this journal of sorts inspires you all to ADOPT, VOLUNTEER, ADVOCATE, and DONATE! As a 501(c)(3) non-profit organization located in Peyton, CO, NMDR’s mission is “to rescue, rehabilitate and re-home discarded breeding dogs and to educate the general public about the cruel realities of the commercial dog breeding industry. >Watch "I Breathe: Lily's Legacy"
>And continue on to the NMDR website for even more valuable information. This month I had the pleasure of reviewing a product for Chewy.com. 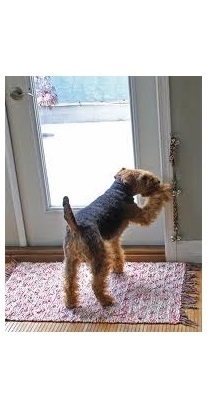 I chose Fromm Four-Star Nutritionals Grain-Free Chicken with Carrots & Peas Recipe Dog Treats. Since it's a mouthful (hehe, pun intended), I'll just refer to them as the Fromm Treats in this blog. As I do with all new treats, I got Cooper really excited with my chain of commands -- sit, lay, stand, sit, paw, other paw, kiss, high five, dance -- and rewarded him with the Fromm Treat. This lets me get a read on whether or not he enjoys the treat since he would a) gobble it up or b) mouth it but then drop and sniff before eating. I don't think it was the flavor that threw him off (they smell pretty good as far as oven-baked dog treats go) but they are quite crunchy. For some dogs, I imagine this would be a good thing! For my Coop, however, this wasn't his favorite quality.He continued to enjoy a few before I pulled the old "leave it" which you can see below, center! Overall, Cooper and I were both very pleased with the quality, tastes, and origin (USA) of the Fromm Treats. "Created by Certified Applied Animal Behaviorist and VP of Research and Development for the ASPCA, Dr. Emily Weiss, the Weiss Walkie™ is the perfect solution for dog guardians and animal shelters looking for a simple, dog-friendly way to take their furry companions on a walk – with absolutely no pulling. The Walkie™ is designed to quickly, comfortably, and humanely eliminate pulling with no training needed for you or your dog. The Weiss Walkie™ wraps around your dog’s barrel and attaches to his or her buckle collar. When the dog pulls, the Walkie™ applies slight pressure, calming and relaxing the dog and naturally decreasing forward movement." I proudly paraded around the Expo on day 2 sporting a small, Sky Blue Walkie, thanks to Dr. Emily! I think it helped me get even more attention and treats! Mom said she wished the Walkie’s rope-like material was a tad bit gentler on her hands and didn’t twist up as much but, overall, we think it is a great alternative to a harness and a better option than restrictive collars. "The Flamelesss Safety Flare is a Battery-operated flare that provides a brightly illuminated, flashing RED signal that will be seen up to 1,000 feet away. Keep this handy device in your car in case of emergencies. It is re-usable for up to 500 hours on 2 AAA batteries and can magnetically stick to the sides of vehicles for better attraction." Cooper Speaks: Although I'm no longer jet black like I was as a young pup, Mom still gets worried that cars won't spot me at nighttime. She carries a flashlight on our walks, especially in the colder, darker months when the sun goes down before she's home from work, but the great thing about the flare is that it flashes and draws even more attention to little ol' me. 2 paws up! The BrollyLeash is the newest product from BrollyTime whose claim to fame is the Brolly rain umbrella. The leash boasts "safer dog walks with greater control" and features a comfortable and secure grip, strong metal swivel, and a high-quality (non-retractable) nylon leash. Sadly this leash did not impress. It is not retractable (which is actually a good thing since those scare me), but the leash is too long for a little guy like me and I kept getting tripped up by it. Mom wasn’t a huge fan of the hand grip, either. Maybe next time, BrollyLeash. Bow and Arrow™ pet collars and accessories are fashion forward without losing the functional qualities every pet owner expects and every pet deserves. Whether you are curling up with your dog to read a good book or taking him for a run on the beach, Bow and Arrow™ products bring you intelligent design and common sense functionality to meet every lifestyle. Bow and Arrow collars and leashes showcase the most relevant materials and constructions ensuring premium performance. You can expect fabulous fabrics, prints and metallics, fun and trendy bows and bow ties, and tech-savvy safety features. Spring has sprung and I’m so ready in this dashing yet playful striped collar and bright orange bow tie combo. Since bow ties are part of my signature look, Mom simply had to find the perfect fit. Needless to say, I sense many a gifts from this line. "…the Ron and Raven™ line of product focuses on the outdoor dog and his owner. The collection highlights solutions for hunters, fishermen, campers and everyday dog owners who are active outdoors. Product features include high visibility elements for safety, paracord details, rubber grips, cushion comfort and multiple specialty products." I feel like a real, classy outdoorsdog in this red on black lumberjack print bow tie. I tried to convince Mom that I needed more from their outdoor collection like a light-up collar but she said I would have to wait for a special occasion. I guess I’m not that spoiled. "Wildcatch for Pets™ harvests only sustainable wild salmon in cooperation with Native, Alaskan, and Pacific Northwest fishers. We offer the finest natural salmon and seafood products free of antibiotics and synthetic colorings. Thank you for supporting wild, sustainably caught salmon products! You can purchase our products here or ask for them at you[r] local store! From our table to yours, we hope you enjoy our products!" Hey, I’m not a cat! Don’t get me wrong, they are very tasty and healthy, but they still left my breath with a bit of a fishy odor, yuck. Luckily, Mom brushes my teeth so it really isn’t a deal-breaker. Plus Mom wanted me to tell you that they are human-grade and sustainable from the great state of Alaska. Um, shouldn’t all my food be human-grade?